Hi, I am Daniel. A Full-Stack Developer in Japan, who specialises in WordPress Design and Development. After finishing university (Master of Business and IT Management) I worked for 5 years as a Project Manager, for a Software and Hardware company in Berlin, Germany. Having worked with clients on WordPress since my early university days, I took a chance and moved to Japan in 2013 to work Freelance (and run a small Café with my wife on the side). I specialize in WordPress Theme Development, WooCommerce, SEO and Data Structure. Being a native German speaker, I also have expertise in the WPML Multilanguage plugin. As a long time Linux user I also offer Webserver and Database administration services and created the WPStager Tool to help provision WordPress Production and Staging sites in a matter of seconds. One of my clients once said to me that I’m the first “PC Guy” ever, that knew what he was doing, whilst being able to explain it in normal people language. I try to bring this experience to all of my clients and hope you are considering me for one of your projects. I have worked with a number of developer/contractors over a period of 15 years. I honestly can say, working with Daniel Klose has turned out to be the best of my experiences. He is very reliable, knowledgeable, intelligent and personable. I look forward to working with him, again, on my upcoming projects. OMG! Daniel is the best. I was hysterically upset with Wordpress - the problems were manifold and had continued despite the efforts of FlyWheel and JetPack (involving hundreds of emails back and forth) for six months and - by golly! - Daniel found out why the problem has probably been occurring all this time. And he did it all in less than an hour! If he lived closer to me I'd run over and kiss him! He saved my life - OK, not really - but having one's website broken for six months is crippling to a business. And he saved me from ruin. So, do I think Daniel is great? You betcha! Would I hire him again? In a heartbeat. work is done on time. plus great communication. Everything done with great communication and on time. Daniel was very responsive with our task. Very quick and generous, helped on additional work. 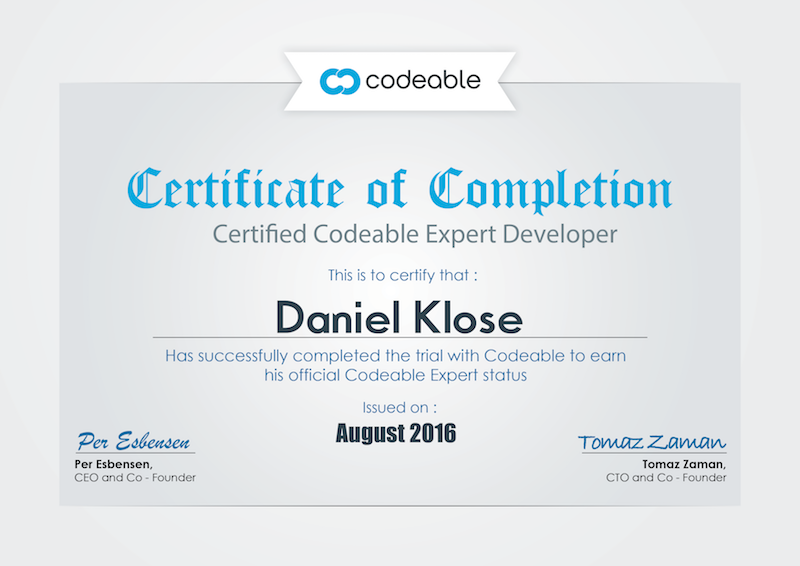 Daniel was great -- excellent communication & responsiveness -- and most importantly, great code. Very happy to have fund Daniel as a German developer to help me set up my Listify site properly. Very good consultation and advice from the beginning. Would love to proceed with other projects. Thanks! Daniel is always super helpful and reliable! !